The Pensions Regulator makes it quite clear that as far as Auto Enrolment (AE) is concerned, charities and NPOs are no different to any other organisation. If you employ staff in any capacity, you must comply. With an estimated 22,000 charities reaching their staging date in 2016, recent figures suggest that they may be overly optimistic about their ability to meet their AE obligations. 63% of charities who responded to a recent survey carried out by the Charity Finance Group stated that they were “confident in their capacity to comply”. 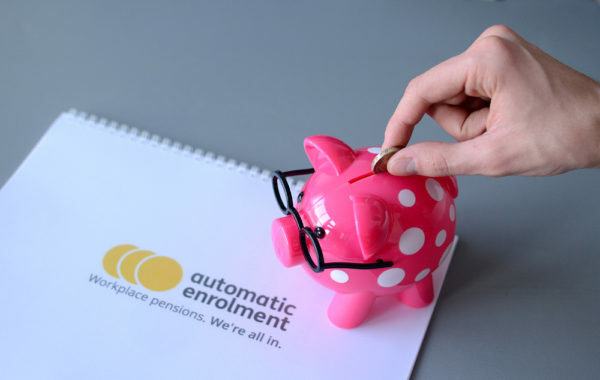 However, among AE professionals, there is a real concern that once they start the auto enrolment process, the sheer complexity of the scheme will overwhelm them. Furthermore, the administrative structure and relative inexperience in HR of smaller charities and NPOs, coupled with the mix of paid staff and volunteers, could lead to significant problems. The issues fall in to two main categories: ability to comply and complexity of the workforce. The first issue is fairly straightforward. Although the larger charities (for example those with more than 20 employees) may have the resources, skills and infrastructure to deal with auto enrolment effectively, this is not necessarily the case and they may well struggle with it. Smaller charities on the other hand, are likely to find AE much more of a burden than a business of a similar size. They are less likely to have funds available to employ professional advisors, less likely to have experience in payroll and HR matters and, although they will have enthusiastic volunteers, these may well be more reluctant to deal with legislative issues. There is no simple solution to this and it may simply be that you have to do a lot of leg work. There are advisors who can set up an auto enrolment scheme for a fixed fee but first speak to your accountant and whoever runs your payroll. They should be able to advise on what to do next. The most important thing is to get started with AE as soon as possible. This seems fairly clear but in reality things are not so simple. When they were asked in more depth about volunteers, The Pensions Regulator has indicated that if a charity consists entirely of volunteers, with no payroll or PAYE scheme and no contract of employment then AE does not apply. However, if some volunteers have a contract (even if they were unpaid), an assessment would need to be carried out for them. If the charity has a mix of paid workers and volunteers, the charity will obviously need to set up an AE pension and the paid workers must be assessed. The employer should then decide whether to assess their volunteers. Again, if a voluntary member of staff has a contract of employment, they must be assessed. In general AE terms, volunteers would be assessed as ‘Entitled Workers’ by way of their zero income and do not need to be automatically enrolled but still have the option to join a scheme, although it doesn’t have to be a qualifying scheme. Remember though that their actual income is zero so their contributions are zero. In reality, having to actively deal with AE for volunteers is completely impractical or, in the words of one AE advisor, “barking”. Another consideration here is that if you have a large number of volunteers, and carry out their assesment through your payroll, your payroll costs could increase significantly if the software company charge you for the number of employees you have. The same applies if you outsource your payroll; they may charge you for assessment of volunteers! So, the number of paid versus volunteer staff is a consideration. One answer in this case is to do an initial assessment but then only reassess when their income changes from zero. If a voluntary member of staff without a contract of employment starts to become paid, they will also need to be assessed. Add to this the grey area of verbal or implied contracts and non-financial benefits and you can see why there is some concern about what charities need to do regarding auto enrolment. The Pensions Regulator has said that if it later became apparent that staff who should have been assessed were not, they would view this as a potential compliance issue. In reality this is unlikely, but to cover yourself it is probably prudent to carry out a simple assessment of all your workforce. In summary, if you have paid employees and are doing AE anyway, it may be sensible to simply add the volunteers who have contracts of employment to your payroll and assess them. However, this will depend on the number of volunteers you have and may be impractical and expensive. An alternative is to do an initial assessment and reassess if they start to earn anything. If you only have volunteers, who don’t have contracts of employment, carry out an informal assessment to show you have considered whether you need an AE scheme. Whether they have an employment contract is an important factor here. Although unlikely, you may have to offer assessed volunteers a pension scheme, even though they don’t earn anything! The assessment itself can be carried out using your payroll software package if you have one, or Benchmark Software provide a free contribution calculator for assessing multiple staff (see below). The Pension Regulator’s calculator can be found within their step-by-step guide (see below), although it only allows you to assess one employee at a time. To be fair, the Pensions Regulator is very accommodating and it is unlikely that they are going to ‘come down hard’ on charities who make mistakes; however being able to demonstrate due diligence may well save a lot of headaches and wasted time later. Auto enrolment is a complicated and confusing process, and many businesses have struggled with it even though, on paper, it should have been straightforward for them. Charities, especially smaller ones, may face even more difficulties as a result of limited resources and the issue of having both volunteers and paid staff. While there are no easy answers, the best thing charities can do is start dealing with it now, not waiting until their staging date looms. To assess your staff, simply enter their details and their income. Written for businesses in Somerset but useful for everyone. Includes a step-by-step guide.